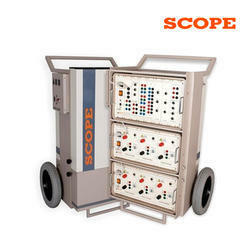 Our range of products include circuit breaker analyzer and circuit breaker operational analyzer. 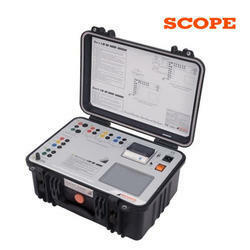 We are offering Circuit Breaker Analyzer to our client. We are offering Circuit Breaker Operational Analyzer to our client. Operations: C, O, C-O, O-C, O-C-O with configurable delays and Static Contact Resistance. Setup: Breaker information data entry and system settings are possible through the touch screen keyboard, which automatically invokes when this menu is selected. Contact Timing: Channels for 3 Main and 3 PIR Contacts with 0.05mS resolution. One internal channel to measure Close and Trip coil current. Three multiplexed channels to measure Contact resistance with 0.1μΩ resolution and range up to 2Ω. TFT color graphical display with touch screen. Displays the menu which is operated through the touch screen. The graph is displayed after the operation with full resolution. Printout: Through inbuilt, 56mm thermal printer is provided for printing test header, graph, and calculation. Memory: Provided with 2 MB inbuilt memory. Can store up to 75 records. Windows based CPLOT software on downloading the record to PC through USB connectivity for further analysis storage. Make connections to CB only once & measure all important parameters like operation timings, coil currents & the contact resistance of all 3 poles simultaneously. Breaker Control: Two solid state contacts rated at 50A, 300V AC/DC for breaker operation.